6 days; from 9am - 6pm daily, incl. 1 hour lunch break + 2 hours of personal tutoring via Skype to discuss any questions after each part of the course. It’s recommended to split the masterclass into two sessions (for example 2x 3 days), to process the lessons, catch up on steps learnt during the first part and evaluate the direction for part two of the class, so you can make the most of your one-on-one learning experience. This class can be individually scheduled to your convenience. You should have sewn at least several corsets and have a good understanding of corsetry materials and construction techniques. Also you should have attempted to or created made to measure corset patterns for yourself and/or other people. Basic knowledge of the Müller & Son pattern drafting system is recommended. Experience with wearing corsets at least occasionally is also beneficial to understand the function of corsets on the body and how it affects patterning and construction. Special training in steam pressing and molding your corset into shape to achieve perfectly smooth seamlines and shapes. The opportunity to ask Barbara any questions around corsetmaking and of course taking a closer look at some spectacular Royal Black showpieces to learn about Barbara’s signature techniques like lasercutting, layered lace appliqué and 3D embellishments. This class is an intense one-on-one 6 day experience for people with advanced experience in corsetmaking. Tailored to your own skill level and experience, Barbara will teach you how to draft bespoke underbust and overbust corset patterns and you will create a bespoke overbust corset from scratch. 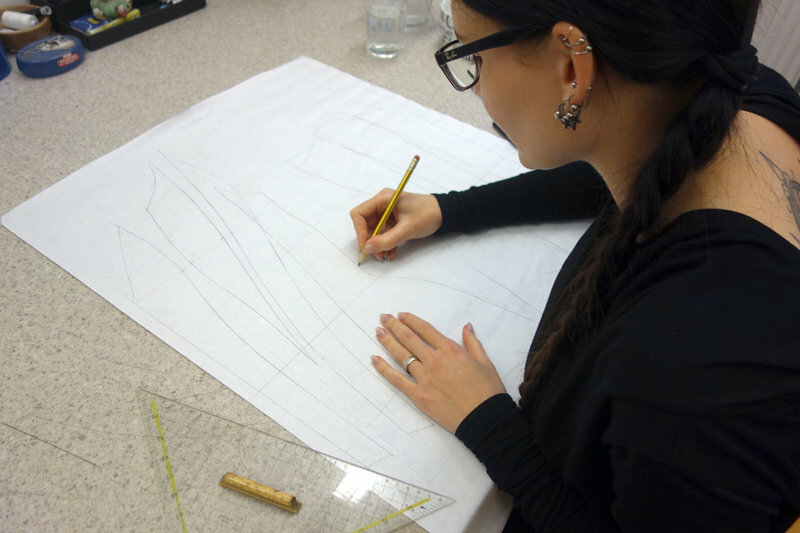 The masterclass includes taking measurements for corset garments, adjusting patterns, discussing corsetry materials and techniques, making and fitting mock-ups and finetuning your corestmaking skills based on your current level of experience. This unique opportunity will help you to create outstanding bespoke corsetgarments on an expert level. Taking place at Royal Black headquarters, you will also get the chance to browse the archive of Royal Black couture creations, the extensive corset and costume library and of course pick Barbara’s brain about any questions around the trade you might have. Spaces for masterclasses are strictly limeted to 3 per year, to make sure each student gets the attention they deserve!